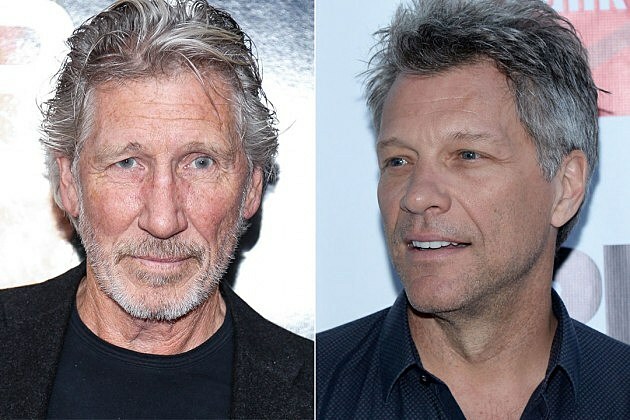 Unable to convince Bon Jovi to join his cultural boycott of Israel, Roger Waters has published an open letter harshly criticizing the band for refusing to cancel its plans for an Oct. 3 concert in Tel Aviv. Waters' letter, published at Salon, comes after frontman Jon Bon Jovi told an Israeli newspaper that although he was aware of Waters' public campaign against the band's stop in Tel Aviv — and against artists playing in Israel in general — he insisted the show go on. "Yes, I heard about that but it doesn’t interest me," he's quoted as saying. "I told my managers to give one simple answer: that I’m coming to Israel and I’m excited to come. There are few places in the world that I haven’t been, Israel is one of them, so I’m thrilled to be coming. We want to stay for a few days and see as much as possible." Bon Jovi is just the latest act to hear from Waters regarding Israeli tour plans in recent years. Last year, he urged Neil Young to cancel a stop in Tel Aviv, then did the same to the Rolling Stones a few months later. Earlier this year, he was rebuffed after reaching out to Alan Parsons about canceling Parsons' plans for a Tel Aviv show. Read Waters' complete open letter to Bon Jovi below.